For 2018 a basic 1.5-litre MX-5 in SE trim starts at £18,995. There isn’t currently anything similar available for this price, with Fiat’s basic 124 Spider starting at over £21,000. Perhaps closest in spirit and in driving dynamics is the Mini Cooper Convertible, at £19,790, though there are a selection of roll-back fabric roof ‘convertibles’ available for less, such as the Fiat 500C and Smart Fortwo Cabrio. Perhaps a more pertinent comparison from an evo perspective is the selection of supermini-based hot hatchbacks available for similar money. Ford’s brilliant Fiesta ST starts at over £20k, now that price-leading three-door ST-1 models have been discontinued, pricing it more in-line with the more powerful 2-litre models. Whether you see any crossover between these models depends on your personal outlook. Few with their hearts set on a two-seater roadster will see tarted-up hatchbacks as worthy alternatives, but in purely evo terms – those of driving thrills, interaction and performance – the latest generation of hot hatches make strong cases for themselves. Trim levels rise from SE, through SE-L Nav and Sport Nav, the latter of which adds larger gunmetal-coloured wheels, adaptive lights, leather seats, body-coloured interior trim and other toys, such as a limited-slip differential and Bilstein dampers. 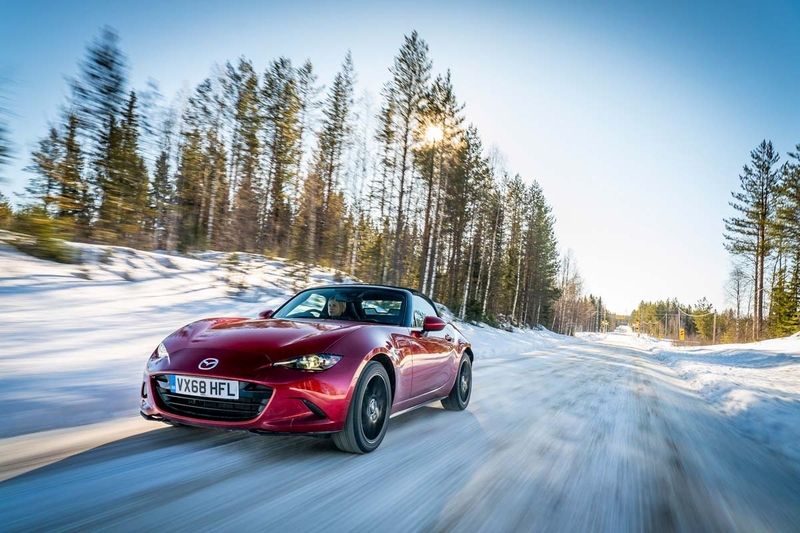 Whereas many before would have said to stick to the basic engine and spec trims, the new 2-litre version, which is available on SE-L Nav trims and up, has undergone a substantial update, and now finally gives the ND-generation MX-5 the powertrain it deserves. Another addition to the MX-5 line-up is the RF – a folding hard-top version. Rather than having a full convertible like the roadster has, the RF’s roof is more like a targa, with the centre section folding away below two buttresses behind the passenger compartment. By the time you opt for the 2-litre engine and Sport Nav trim, pricing rises to £24,195. At this point the range of possible rivals widens too – notably including the £26,855 Toyota GT86 and £26,495 Subaru BRZ. 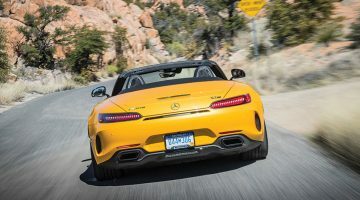 Each has more power than the Mazda – though little extra performance to show for it – and a sharper chassis that may appeal if you’re willing to sacrifice the Mazda’s open top. Thanks to the lack of real performance focus at the top of the range, there is a strong argument to suggest the sweetest new MX-5 is the cheapest one, to major on the simple pleasures of a roadster. At £18,795 the entry-level 1.5 SE feels like plenty of smiles-per-pound, even though it lacks the firmer dampers and limited-slip diff available further up the range. The latest significant addition to the MX-5 line-up is the RF, a folding hard-top version. Rather than having a full convertible like the roadster, the RF’s roof is more like a targa. The centre section folds away below to two buttresses behind the passenger compartment. By the time you opt for the 2.0-litre engine and Sport Nav trim, pricing rises to £24,195. 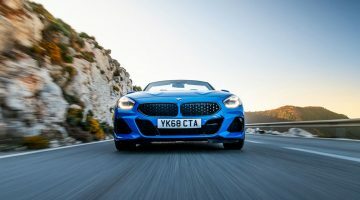 At this point, the range of possible rivals widens too – notably including the £26,855 Toyota GT86 and £26,495 Subaru BRZ. Each has more power than the Mazda – though little extra performance to show for it – and a sharper chassis that may appeal if you’re willing to sacrifice the Mazda’s open top. As of the 2019 model year update late last year, Mazda introduced a heavily updated 2-litre four-cylinder engine. Overall the engine is similar to the last one, but now produces a more substantial 181bhp, and revs 500rpm harder at the top end too. The 1.5-litre car dismisses the 0-100kph sprint in 8.3sec, while top speed is 204kph. But the 1.5’s performance differs more than the numbers suggest, feeling revvy and fun, but undeniably slow. The 1.5-litre car needs working – it’s particularly noticeable on steeper hills when you’ll need a downchange to maintain momentum, unlike the 2-litre car which charges up unhindered. Being heavier it’s no surprise the RF is marginally slower than the soft-top version. The extra 40kg that the 1.5 MX-5 carries around means that it accelerates from 0-100kph in 8.6sec – 0.3sec slower than the regular car. The new 2-litre, as mentioned previously, has undergone a substantial update on the previous unit, with a nuanced and technical approach, such as delicate weight savings to the pistons and conrods, revised camshafts, exhaust valves, injectors, throttle valves and a new intake. All of these subtle changes make a huge difference though, with the new engine having far more urgency at high revs, leaping to its 7500rpm red line with real verve. When still box-fresh, these motors have a tendency to feel a little tinny and tight, but with kilometres the engine really loosens up and feels every one of its 181bhp. Mazda’s focus on reducing weight hasn’t just affected the performance and handling – it’s improved fuel efficiency too. A year or two ago evo had the opportunity to spend 1300 kilometres behind the wheel of a 1.5, touring the ring of Iceland. While hills and more twisting sections sapped away at the car’s frugality, the car’s touring economy still proved very impressive. Even driven at higher pace we often saw 6.3L/100km between stops, and our average over some sections of road was as high as 5.2L/100km. Be in no doubt, the MX-5 is not a gas-guzzler. The brawnier, heavier 2-litre model isn’t quite as frugal on paper, but opting for the speedier car won’t empty your wallet at an eye-watering rate either. Combined economy drops to only 6.9L/100km, with a corresponding increase in CO2 to 161g/km (£500 for year one VED and £140 in subsequent years). However, as you don’t need to rev the 2-litre as much and you don’t use full throttle as often as in the 1.5, the gap in L/100km is much smaller between the two cars in real life. Our recent long-term MX-5 RF regularly returned figures in the 40s. In theory, that low weight should have lasting benefits in other areas. Experience with our long-term RF suggests the MX-5 is unlikely to chew through tyres and brakes too quickly – a set of front pads and discs lasted us four trackdays and 21,000 kilometres of road driving, while the tyres still had life left in them by the end of our year with the car. Other consumable items should be devoured at a similarly modest rate. Insurance should also be relatively low, though not as low as it could be if the little Mazda was equipped with some of the electronic safety systems that grant a full five-star Euro NCAP rating. The MX-5 instead gets four stars. The MX-5’s interior has always been a squeeze for taller drivers, and the ND’s is no different. The cabin is both quite narrow and short, meaning drivers with generous proportions in either direction will find the MX-5 a little challenging. Once inside though, the cabin design is a marvel of contemporary minimalism, essential controls are reduced to a bare minimum and those that remain are clear and easy to use. It does lack the opulence of Mazda’s newer cabins, such as in the new Mazda 3, but remains a strong element of the MX-5’s overall package. On the move, the experience inside is dominated by two perfectly formed elements. The first is the round, thin and firm steering wheel that looks and feels perfect in the hands, and the other, three perfectly placed dials in front of you. The left-hand dial is one solid colour screen in high-specification models, and although it doesn’t have a huge amount of functionality, it re-emphasises the work Mazda has been putting into its detailing. The infotainment system is also rather good – maybe not up to the standards of the very best German units, but far superior to anything else from Japan. CarPlay and Android Auto are now also available as an option. A higher-res screen in the dash would be welcome, but as the MX-5 is now one of the older models in its range, it’s not surprising to see it a generation behind Mazda’s latest electronic hard and software. Most models have a black interior in cloth or leather with red stitching and highlights on the dash and doors, but plump for GT Sport Nav+ models and the interior changes regardless of exterior colour. RF models feature a saddle brown interior, while the roadsters pick up a cornsilk-like beige finish. This does clash with some exterior colours, especially when butted up against the body-coloured door panels, but it does make for a lighter and less cramped-feeling cabin. If you’re upset by completely mismatched stitching, the pinky-red design on the steering wheel and handbrake and cream stitching on the seats and door cards will grate. We’ve had a few years to absorb the current MX-5’s design, and as Mazda continues to produce groundbreaking mainstream models like the latest Mazda 3, the MX-5 has bedded down into a taught, highly considered and elegant little roadster. Curvaceous yet dramatic corner cutaways, slim LED lighting units and simple, yet bold graphics – these are all highly distinctive elements that make the MX-5 look and feel special on the road, regardless of its price point and relative commonality. The RF’s targa-like roof, with those massive buttresses and body-coloured windscreen surround and roof, doesn’t look quite as resolved. The basic proportion set makes the one-piece look of the RF’s body seem tall and narrow, but we imagine a set of horizontal louvres on that rear deck might be an interesting addition; we’ll leave that to you to imagine. The characteristics that define the MX-5 on the road are equally distinct on track, where there’s no great change to the driving experience. It’s much of the same, except all the sensations are heightened and exaggerated, for better and worse. The consistency of the control weights makes it easy to acclimatise yourself to the small roadster, so you can focus on clipping apexes and nailing braking points without having to attribute brainpower to managing tricky, unintuitive controls. Trail the brake into a slow corner and you sense the weight shift forwards as the nose dives, and you can use this movement of mass to help rotate the car on entry to get the nose tucked in tight. Once turned in, the body leans hard onto the outside wheels and the car settles. From here you get back on the throttle as the corner opens out. Be gradual with your input and you’ll understeer. 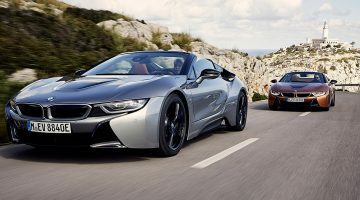 However, be more aggressive with the throttle and the car adopts a neutral state, squatting and bobbing over the rear outside wheel as it powers out of a corner – an enjoyable feeling. You can use both the Mazda’s body roll and consequent shifting of mass to exploit the chassis’ natural balance, especially in tighter sections of a track. Lift off suddenly mid-corner and you feel the car start to pivot around its hips under weight transfer, taking on a few degrees of slip-angle in the process, which is easily neutralised with the throttle and a dab of countersteer. On the whole, it’s all very manageable, and thoroughly enjoyable. However, the softer, road-going bias does leave the MX-5 wanting when you’re really pushing for a fast lap as opposed to just indulging in the chassis’ adjustability. That exaggerated roll breeds greater inertia, so you don’t have the confidence to negotiate high-speed direction changes at full tilt, where you crave tighter body control and more agility. The flat, confident cornering stance of track-bred cars is certainly something unfamiliar to the MX-5. A light kerb weight means the brakes feel up to the job of hauling the MX-5 down from speed and they hold up well enough over the course of a session, although if you’re considering doing regular track work it may be worth investing in new lines and fluid at the very least.